Although the results of the Government’s Comprehensive Spending Review are not officially published until 20 October 2010, the widely publicized leaks of the quangos that are likely to be axed suggest there could be some significant change in the legal landscape. 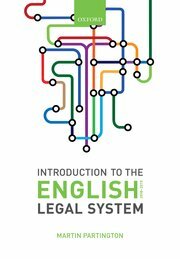 Many of the bodies considered in my book are under threat: they include the Administrative Justice and Tribunals Council, the Civil Justice Council, the Family Justice Council, the Legal Services Commission, many of the Boards that look after local courts, a number of tribunals – even the future of the Law Commission is, according to reports, not secure. In April 2010, I noted the statement of the then Labour Lord Chancellor that he intended to merge the Court service and the Tribunal service. This programme, the Courts and Tribunals Integration Project, is – under the new Government – developing rapidly. On September 15th, the Conservative Lord Chancellor announced that he hopes the new integrated structure will start to operate in April 2011. This will have profound implications for the judiciary who work in both the courts and the tribunals. While it may well enable those who manage court business to use judicial manpower more flexibly, the merged framework may well result in the loss some of the well recognised advantages of tribunals, namely their informality of procedure, ‘the enabling role’ and similar attributes. I have argued elsewhere that courts have much to learn from tribunals, in particular how to handle litigants in person. However, the ignorance of most court judiciary about the work and ethos of the tribunal judiciary will mean that, without strong and enlightened judicial leadership, such lessons are unlikely to be learned.